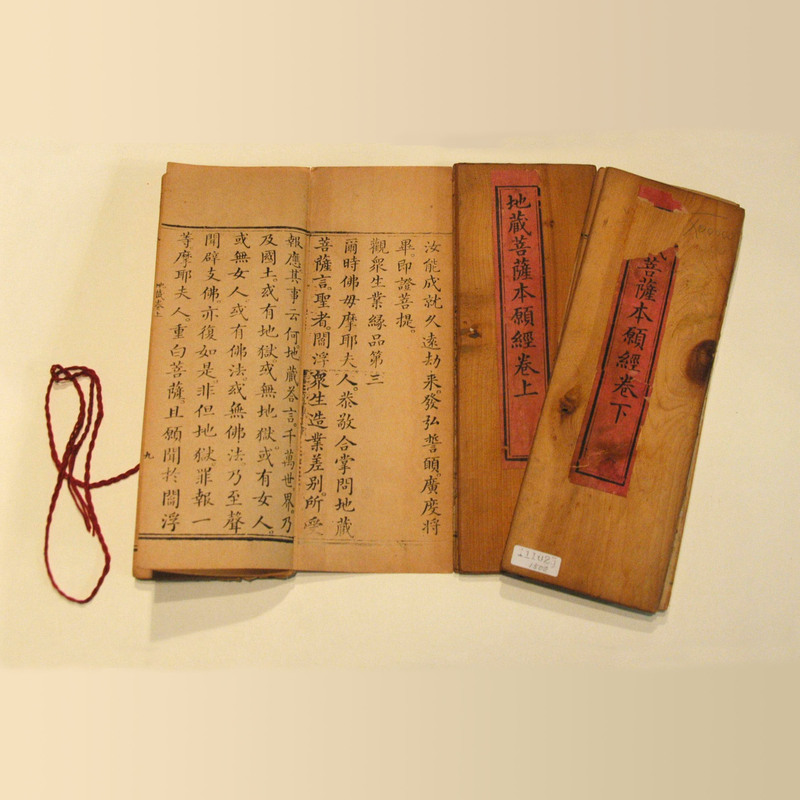 This is an old wood block printed script in 2 volumes of a popular Buddhist sutras in Chinese. The sutra was translated into Chinese in Tang Dynasty; it was presented as a dialogue between the Buddha and Ksitigarbha. The teaching is about the the ultimate sense of a universal code of duty for all living beings.